Here is the 2016 Anaheim Ducks Qualifying Tournament in its entirety. The 3rd-seeded ’12-’13 Anaheim Ducks took the first two games of this qualifier final before the 4th-seeded ’05-’06 Mighty Ducks of Anaheim took the next four to win it all. The ’12-’13 Ducks also won those first two games in overtime, but they led late in the third before Joffrey Lupul tied it for the ’05-’06 Mighty Ducks. Then, Teemu Selanne scored four and a half minutes into OT to give the ’12-’13 Ducks a 1-0 series lead. Saku Koivu scored the game-winner in OT for the ’12-’13 Ducks in Game 2 as they took a 2-0 series lead. Despite losing the two games, Jean-Sebastien Giguere stopped a combined 87 shots, but his efforts would be rewarded later in the series. The ’05-’06 Mighty Ducks got on the board in the series with a 3-1 win in Game 3 behind a two-goal showing from Lupul. Jiggy stopped 34 of 35 shots in the win while Jonas Hiller stopped 37 of 40 in the loss. 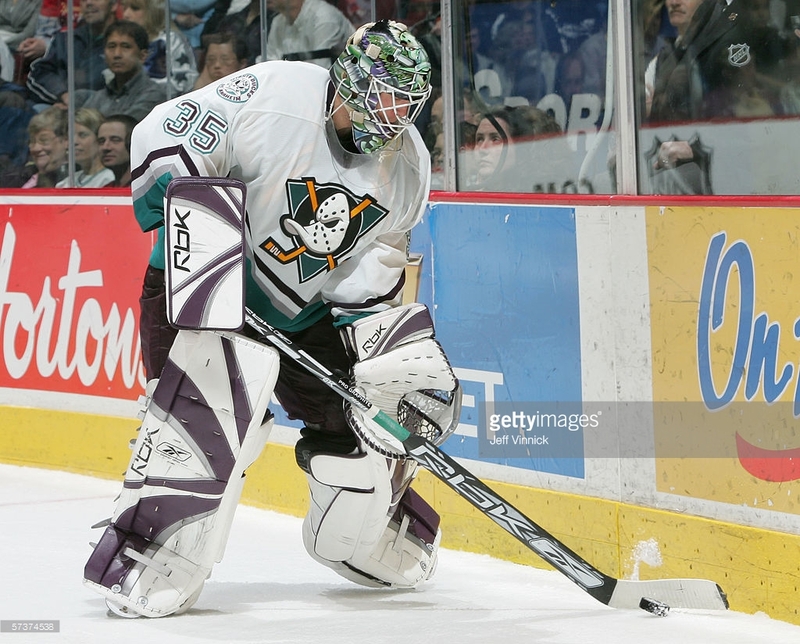 The ’05-’06 Mighty Ducks led 2-1 late in Game 4 as the ’12-’13 Ducks pulled Hiller for the extra attacker. With 27 seconds remaining, Matthew Lombardi tied it for the ’12-’13 Ducks forcing the third overtime game of this series. For the second time, it would be Selanne who won it, but this time for the ’05-’06 Mighty Ducks on double overtime to tie the series at two. Giguere and Hiller starred yet again as they posted 59 and 61 saves, respectively. The ’05-’06 Mighty Ducks then took a 3-2 series lead with a 4-2 win in Game 5 behind a hat trick from Todd Marchant. Marchant then was one of four different scorers for the ’05-’06 Mighty Ducks in the first period of Game 6 alone. They led 4-1 after the first period and held on to seal the series with a 5-3 win. Lupul and Rob Niedermayer both posted three-point performances in the series-clinching win for the ’05-’06 Mighty Ducks. Up next is the 2016 Tampa Bay Lightning Qualifying Tournament! This entry was posted in Qualifying Tournament, Ultimate NHL Playoff and tagged Anaheim Ducks, Andrew Cogliano, Corey Perry, Francois Beauchemin, Jean-Sebastien Giguere, Joffrey Lupul, Jonas Hiller, Matthew Lombardi, Mighty Ducks of Anaheim, Qualifying Tournament, Rob Niedermayer, Saku Koivu, Teemu Selanne, Todd Marchant, Ultimate NHL Playoff. Bookmark the permalink.